Among the 15 projects presenting their work at CeBIT 2010, WordPress is offering an open source online publishing system for the web. In a nutshell: describe your project in a few words. WordPress is the most successful publishing system of the last years. Its ease of use, large and active community, countless free extensions and design offerings and flexible application opportunities give WordPress an edge against other content management systems. BuddyPress is a collection of components adds a social networking layer to WordPress. BuddyPress is a possible add-on to any WordPress system starting with version 3.0. The b2/cafelog blog system, with its birth in 2001, was further developed in 2003 under the project name WordPress. BuddyPress began in 2007 as a private project of one of our developers. The current WordPress version contains code from over 140 developers. The official directories include over 8,000 plugins from about 5,000 developers and more than 1,000 themes from many hundreds of designers. Add to that many thousands actively participating in the mailing lists, forums, chats and blogs. BuddyPress is still in a relatively early development phase, but is finding an ever increasing community. The core team currently consists of two main developers and a few dozen coworkers. WordPress was born from the need to have an easy system for daily blog creation. Version 1.0 was released in 2004 and WordPress in short time began acquiring users and a whole worldwide community began to spring up to further its development. That same year the German language platform WordPress Deutschland was founded to develop into the second largest WordPress user community worldwide. BuddyPress started out as a private project. Because of a lack of outside interest, it was threatened with an early end, but BuddyPress was officially adopted as a project by WordPress developers in 2008 and has won an increased following, to judge from its success in social networks. WordPress is much more than purely a blog system and is used in private and business environments in many different fields. With its official extension BuddyPress, WordPress can be expanded to a full-fledged social network and a single installation can serve many blogs and users. We would show what is possible with WordPress and how flexible it is for private use or in corporate implementations. 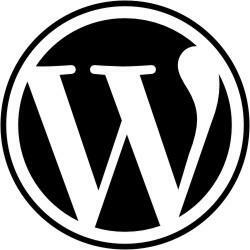 We would demonstrate why WordPress is the most successful publishing platform on earth and what our future looks like. We will arrange contacts with companies, developers, users and consultants, recommend usage scenarios, and help solve problems. With its official extension BuddyPress, you can expand WordPress to a full-fledged social network and a single installation can serve as many blogs and users as you need. We will provide examples and show the may things you can do with BuddyPress. For both solutions, we will arrange contacts with companies, developers, users and consultants, recommend usage scenarios, and help solve problems. WordPress was developed for simple publishing of content and is targeted to anyone active in Web content. Because of its open source code base and user-friendly interface, WordPress's spectrum of application possibilities is as varied as its user base, providing just the right solution for beginners to professional developers. BuddyPress is for users who want the functionality of classic social networking in smaller or larger environments. Users could include interest groups, organizational or commercial networks, with endless application opportunities. Like any successful project, large distributions carry with them security related issues requiring short release cycles that the community does not always easily understand. The release cycles have been a regular issue in the past that developers are now addressing with a new strategy. The timeframe between releases should become more regular and development goals for each cycle will be formulated in more detail. A big challenge for the next year is to further develop the WordPress and BuddyPress architecture to address new functional requirements while still maintaining the products' user-friendliness and intuitiveness. A few main developers are permanent hires and are involved full time. We hope that the newly founded WordPress Foundation, which looks after WordPress's future, can be financially independent enough to hire its own staff. The WordPress and BuddyPress source code is under GNU General Public License, version 2, June 1991 (http://www.gnu.de/gpl-ger.html). Our official project website: http://wordpress.org, http://gridportal.hep.ph.ic.ac.uk/rtm). The German WordPress website: http://wordpress-deutschland.org. The WordPress Foundation website: http://wordpressfoundation.org.